WASHINGTON — NASA announced Nov. 8 that it is now planning a first launch of its Space Launch System rocket no earlier than December 2019, even as a review concluded the rocket isn’t likely to fly until mid-2020. The agency, in a statement, said it was “protecting” a December 2019 date for Exploration Mission (EM) 1 after concluding that it could mitigate some of the risks facing the development of the rocket and Orion spacecraft that appeared to push the launch into 2020. NASA said earlier this year that the EM-1, previously scheduled for November 2018, would slip into 2019 because of development issues, as well as tornado damage in February to the Michoud Assembly Facility in New Orleans where elements of SLS and Orion are assembled. The agency did not give a new launch date before today, but notified Congress in June that it was aiming for a launch no earlier than October 2019. In addition to the tornado damage, NASA said difficulties welding the core stage of the SLS and production delays with Orion’s service module, which is being provided by the European Space Agency, factored into the review. NASA officials have previously said the core stage and the service module were the two key factors driving the schedule for EM-1. “Those are our two critical paths right now, and they’re kind of neck-and-neck for getting to a launch date,” Bill Hill, deputy associate administrator for exploration systems development at NASA, said of the SLS core stage and Orion service module in an Oct. 25 panel discussion at the American Astronautical Society’s Wernher von Braun Memorial Symposium in Huntsville, Alabama. NASA, in the statement, said the revised launch date will not increase beyond a 15 percent threshold that requires a congressional notification. 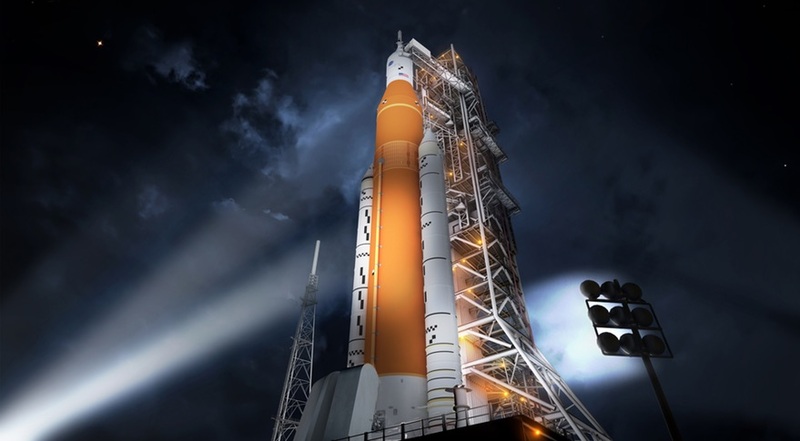 “The costs for EM-1 up to a possible June 2020 launch date remain within the 15 percent limit for SLS and are slightly above for ground systems,” it said, noting that the cost commitment for Orion is through EM-2, the first crewed mission, scheduled of 2023. To keep EM-2 on that schedule, NASA said that it will perform a test of Orion’s launch abort system before EM-1, instead of after it. That in-flight test of the abort system will involve launching an Orion capsule on the first stage of a former Peacekeeper missile, then firing the launch abort system. The test, known as Ascent Abort 2, is now planned for April 2019. The NASA announcement comes a day before the space subcommittee of the House Science Committee holds a hearing on NASA’s exploration systems development. Bill Gerstenmaier, NASA associate administrator for human exploration and operations, will be one of the witnesses, along with Sandy Magnus, a former astronaut who is currently executive director of the American Institute of Aeronautics and Astronautics.